The Ford Fusion is an expressive and efficient top choice among midsize sedans. 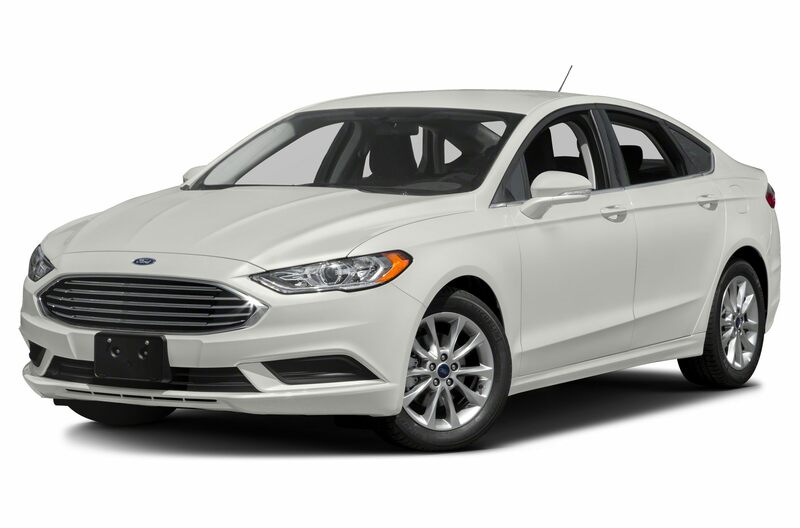 The Fusion is available in five trim levels: S, SE, Titanium, Platinum and V6 Sport; offers four engines, as well as front-wheel or all-wheel drive, the Fusion has something for everyone. The powerteams consist a 2.5-liter four-cylinder engine with a six-speed automatic transmission, a turbo 1.5-liter EcoBoost with a six-speed automatic and paddle shifters, a turbo 2.0-liter EcoBoost four-cylinder with a six-speed automatic and paddle shifters, and a 2.7-liter Ecoboost V6 with 325-hp. Safety features include anti-lock brakes with panic brake assist, AdvanceTrac electronic stability and traction control, LED brakelights, daytime running lights, security system, eight-airbags, and a tire pressure monitoring system. LED head and fog lights are available, as well as SYNC 3, auto high-beams, lane keeping assist, pre-collision assist with pedestrian detection. The Fusion is unchanged for 2018.